The former communist bloc hasn't yet hit Michelin's radar but it has many star worthy restaurants and stellar chefs. The Iron Curtain has been pulled back, and creativity is all the rage. Chefs just want to have fun. 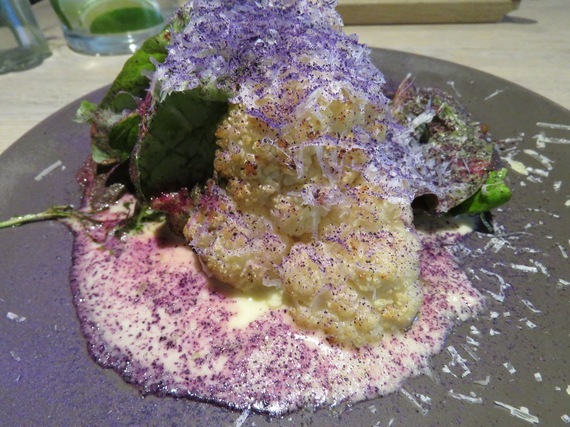 The food is playful and imaginative while delicious. Restaurants rely on as many locally sourced ingredients as possible. The prices will make you rethink where you travel. Goodbye Paris and hello Eastern Europe! Finding this restaurant is worth the challenge. But once you do, you will feel as if you entered a secret garden party. The restaurant is through a large gate and tucked behind another building. Try to secure an outdoor table during warmer months. The temperature can be cool even in the summer. Blankets are thoughtfully provided by the restaurant and draped on the chair backs. There is even a play area for children. 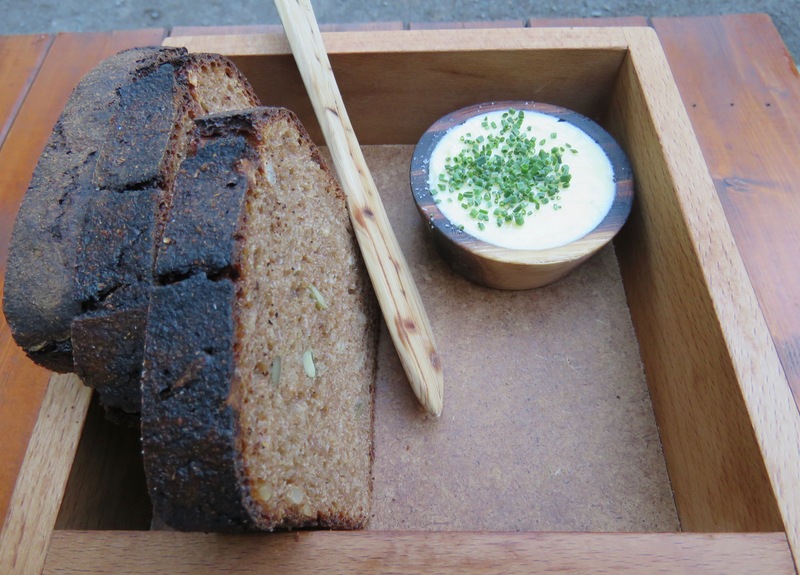 The restaurant's name reflects the simple but hearty regional black bread served. It is so delicious that it is easy to fill up and skip the rest of the meal. The menu changes based on seasonal and local ingredients. The food is simple and unfussy like the Estonian diet which tends to rely heavily on meat and cream. Lighter options are available including local farm raised quail. The quail with chimichurri sauce was an unusual combination for about $17 US. This entrance is in the back and can be tricky to locate. Don't be deterred because the food is worth the journey. Faux animal heads adorn the walls and acknowledge Estonia's hunting past while presenting a contemporary view-point. The cooler weather makes sourcing all the food locally difficult but these chefs are clearly up for the task. Dried red cabbage became vivid pink and purple pixie dust for cauliflower (about $12.13 US). A bold green soup was made with forest greens, hemp seed oil and a hemp seed crisp (about $7.72 US). These dishes were clearly made to be photographed. The food was nothing short of extraordinary. Located in the old town, this restaurant feels as if you were invited to a friend's cozy, country manor house. The chef also relies on local ingredients. Visiting during the late summer meant chanterelles and berries were used with abandon. 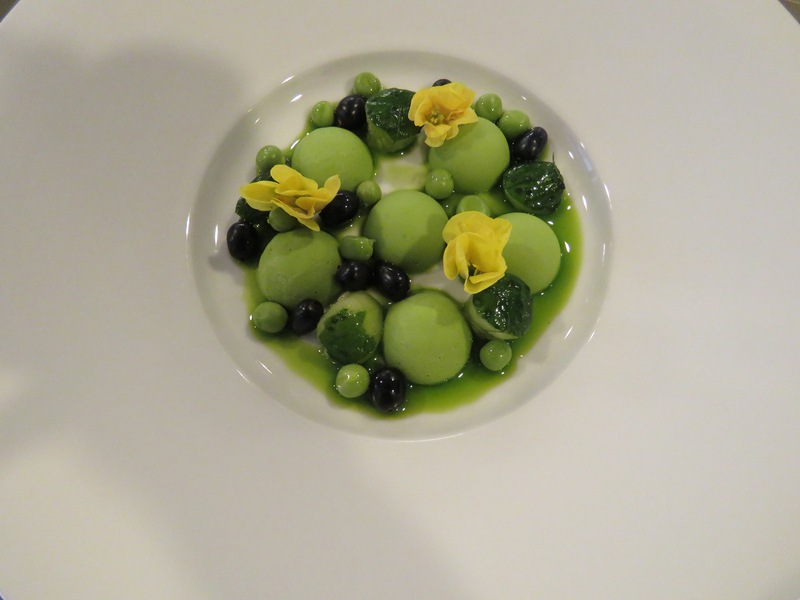 The food is inventive and beautifully presented. The best part was dining here didn't require a mortgage. The chanterelle paté which was sublime cost about $8.17 US. The moans of pleasure could be clearly heard at the adjacent table. A blueberry cold soup with chocolate brownie and chocolate bread with cocoa butter was a decadent dessert option. Yet, the price was far from extravagant and cost only about $7.04 US. #lovingthestrongdollar. Also located in the old town, the two sided bar and open kitchen plan invites conversations across the restaurant and with the chefs. The four people eating at the bar, when I was dining, were travel/food writers. It won't be long before worldwide foodies descend on this destination. Playing with your food is a requirement. A parchment paper is placed in front of you. The server proceeds to swirl sauces, pipe cheese and sprinkle seeds before handing you bread and instructing you to use your tinder skills to swipe back and forth through the artistic creation. While it seems as if none of the parts could possibly work together, they of course do. This is adult playtime. Let the games begin. The fun continues with a modern interpretation on traditional dishes or ingredients. This is not your granny's goulash soup. A large parmesan "cracker" covered the bowl. Gently tapping my spoon against it, revealed the soup below. Tender morsels of meat were waiting to be discovered. Each course is another opportunity for fun. This is a chef who wants to change the perception of Latvian food and how people eat. Sweet Root's menu is based on Lithuanian cuisine that changes based on the seasons and the ingredients available locally. The menu in late August was ladened with chanterelles, sweet green peas, white currants and apples which were transformed into chanterelle soup, pork belly with apples, Panna Cotta made from creamy green peas, cucumber and white currants and a dessert of fresh goat milk cheese and macarons with pollen. The food was visually stunning and delectable. My entire dinner for three starters and a dessert was $19.49 which was less than taking a New York City taxi from uptown to downtown. The 7-course tasting dinner was about $40 US per person. The restaurant is tucked away and not easy to locate. But the neighborhood mood quickly changes as you enter the restaurant through the front-yard dining garden filled with plants and candles. The three chefs are pushing Serbian food's boundaries by reinterpreting time honored dishes. The portions are small but so are the prices. The plates are meant to be shared. 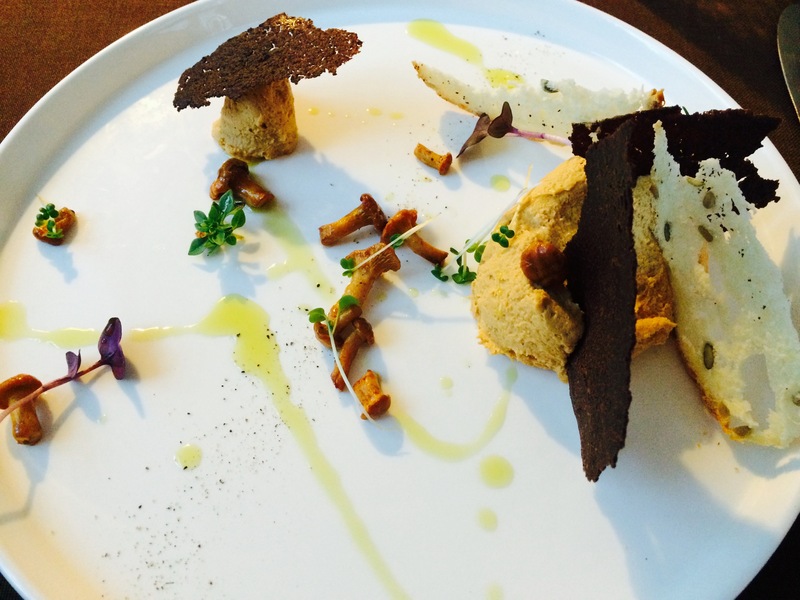 Fried smetana was combined with black truffles and melted in our mouths (about $7.29 US). Delicate baked vine leaf dolmas were filled with lamb, rice, lemon peel, butter and honey (about $8.20 US) and the tenderest pork neck which was slow cooked for 12 hours with butter, raisins, rum and anise sauce with parsnip was about $12.42 US. An alternative 8-course tasting menu was about $52 US per person. 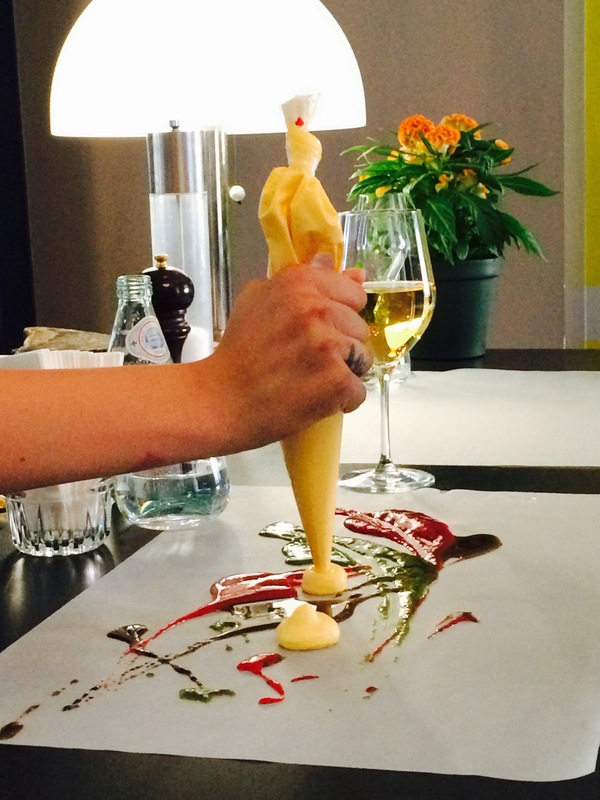 The Artist is the perfect restaurant for the person who can't decide what to eat or wants to sample the entire menu. 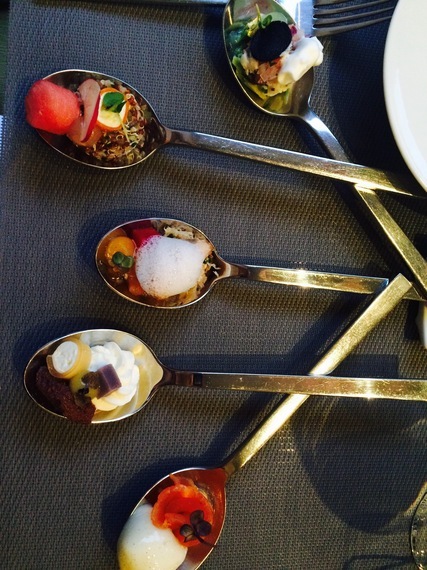 Mini-sized portions of each course's options are artfully recreated on a spoon for a "spoon tasting". It is available as an appetizer, entree or dessert in addition to full-size portions. Little surprises are also brought throughout the meal. It is impossible not to have a good time at this restaurant. A 3-course spoon tasting was about $35 US per person or the equivalent of an entree at a New York City restaurant.